Known for her airy and romantic wedding dresses, designer Monique Lhuillier took us down a darker path for her Spring 2016 collection, inspired by the classic story Alice in Wonderland. 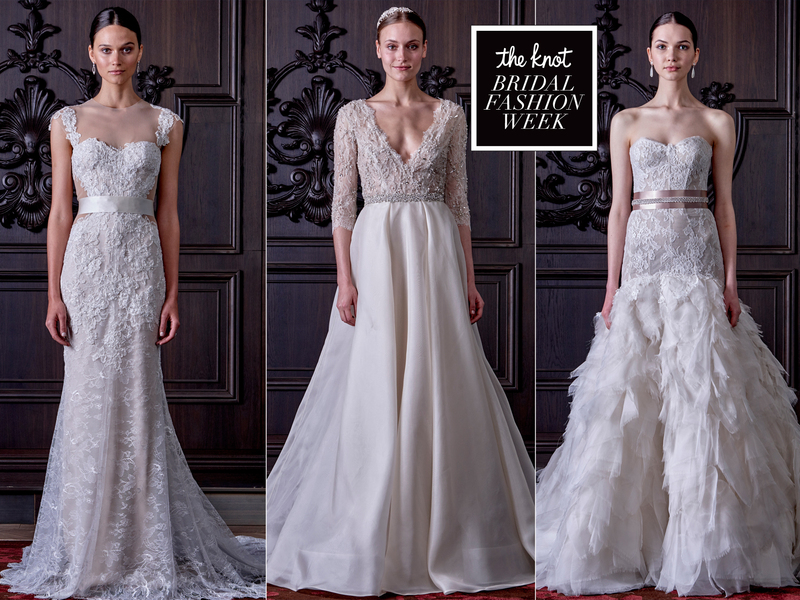 "My collection is very sensual and elegant, really pushing the limits," Lhuillier told The Knot. "I researched Alice in Wonderland references -- specifically the fantasy of it and darker elements. There's a lot of darkness, but also a lot of light. The gowns are extremely sensual, sultry and close to the body. I'm so excited to see them come to life. These gowns look at the naughty and nice side of a bride." 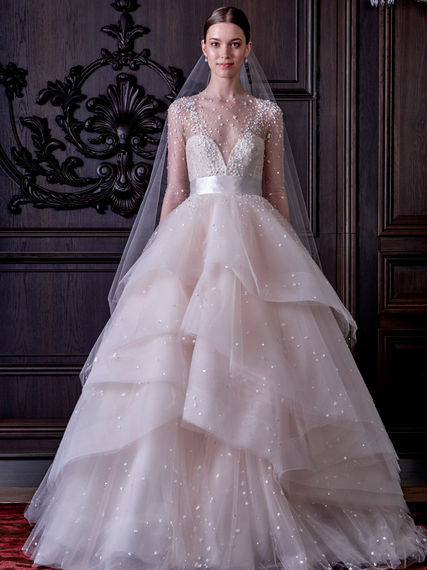 Lhuillier says she was inspired by the book when thinking about a little girl dreaming about her wedding, wanting to include over-the-top details and really make a statement. 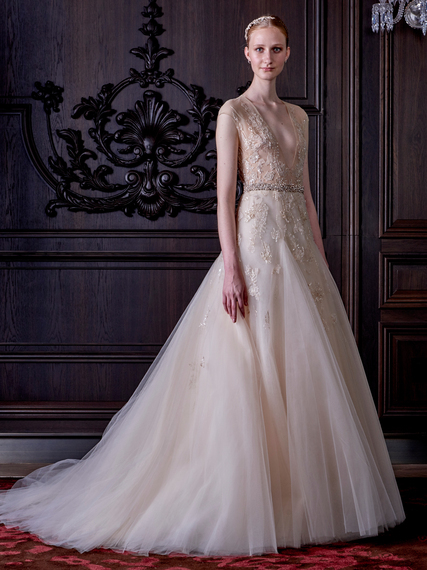 And her gowns definitely do both, taking us down a rabbit hole of beautiful crystal embroidery, cinnamon and honey hues, plunging necklines and "thousands" of yards of tulle. These dresses are simply stunning, whether you're a bride or the Queen of Hearts. See some of the looks in the collection below.